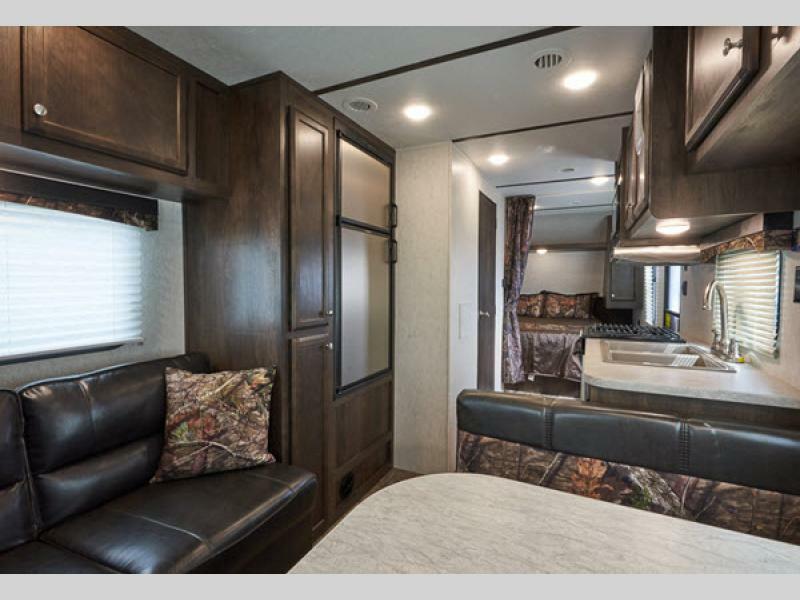 Starcraft Mossy Oak travel trailers are comprised entirely of natural earth elements and colors, the embodiment of the outdoor lifestyle. 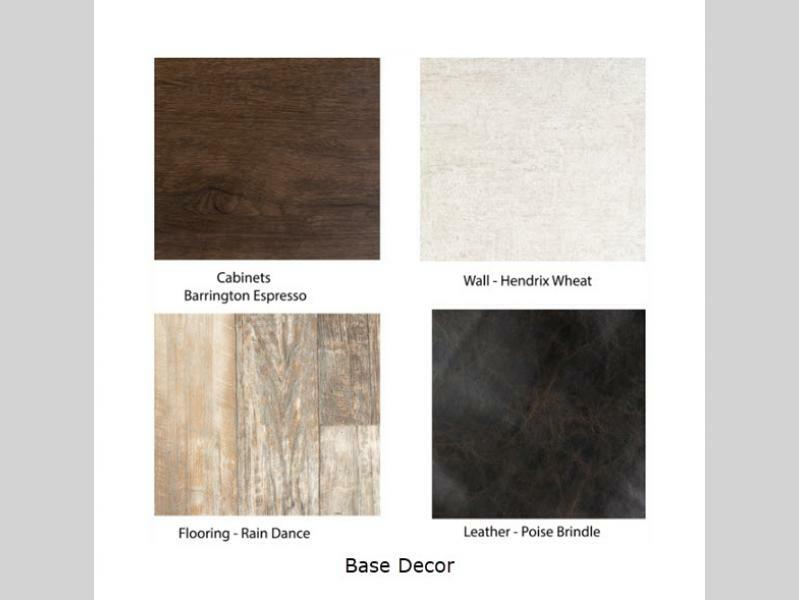 They are built to withstand the outdoors too, and one way they prove it is with a 3-year structural warranty. 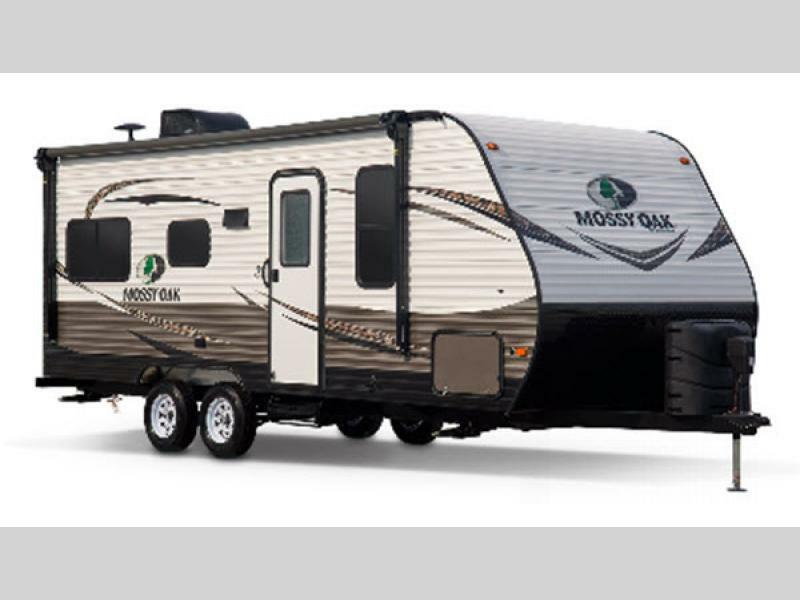 This brand was exclusively designed for those who are passionate outdoor lovers, adventure seekers, and boundary pushers who enjoy camping, pure and simple. 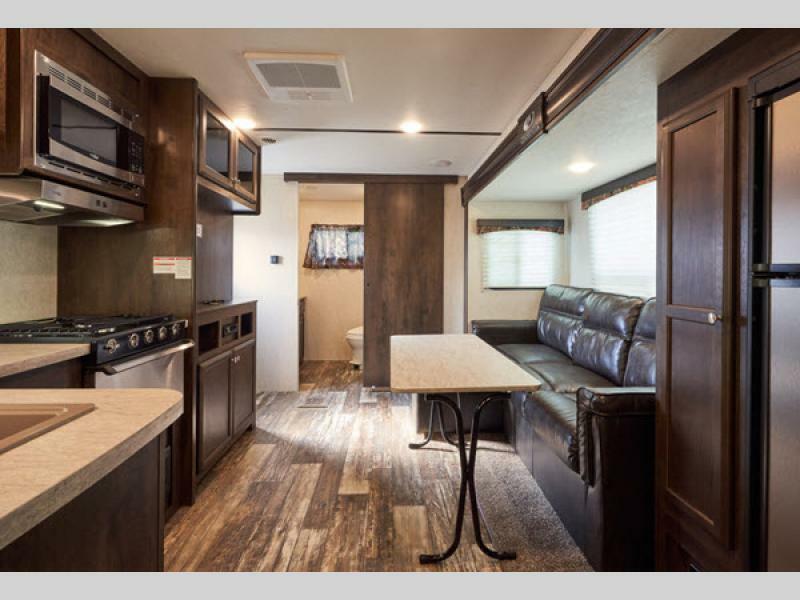 Each travel trailer is constructed with a one piece seamless roof membrane backed by a 12-year warranty, a 5/8" main floor decking, and fiberglass insulation. 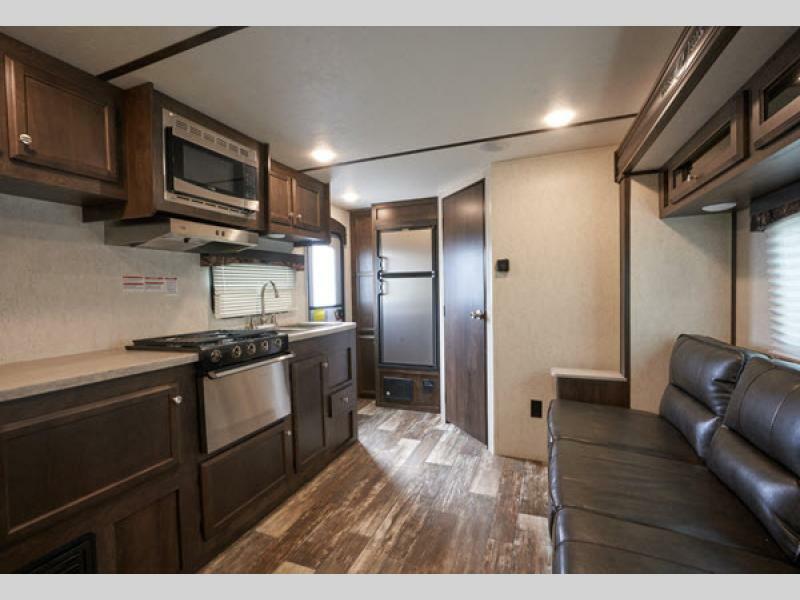 Interior features like the range hood with a light and exhaust fan, a foot flush toilet, and cable and satellite prep are just a few features that will make your camping trip even better! 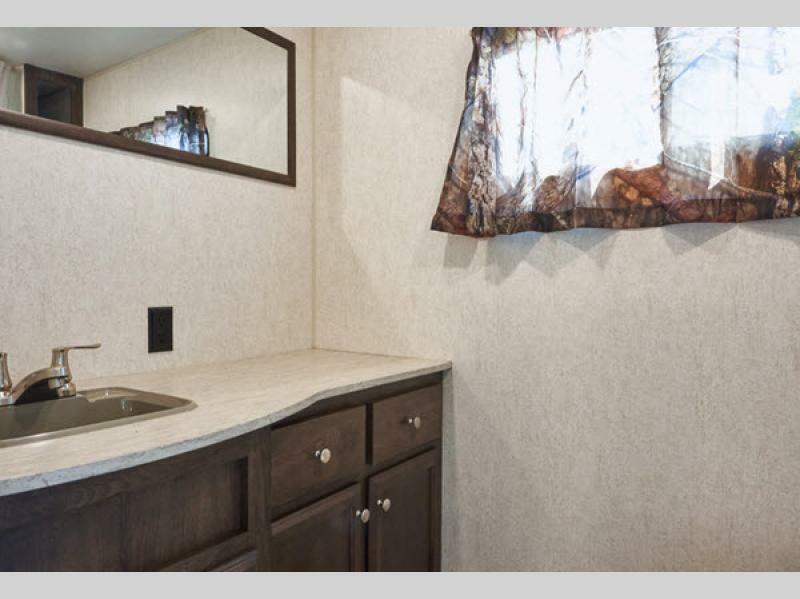 You will enjoy your trip to the fullest by having the convenience of home while living in the outdoors. If you're into hunting, fishing, and camping then this is the brand for you. 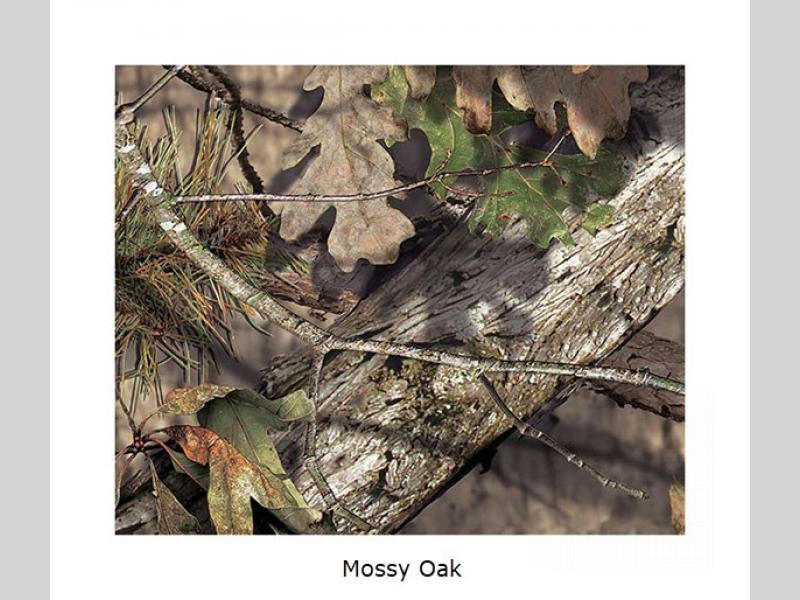 So, come pick out your perfect Starcraft Mossy Oak today!